Cats and dogs develops spatial awareness that is crucial for softball. Players sit back-to-back along a line approximately 1 metre apart. 1 line is ‘CATS’, the other ‘DOGS’. Call the lines randomly. When a line is called, the group must stand and run to the safe zone in front of them. The other group chases. 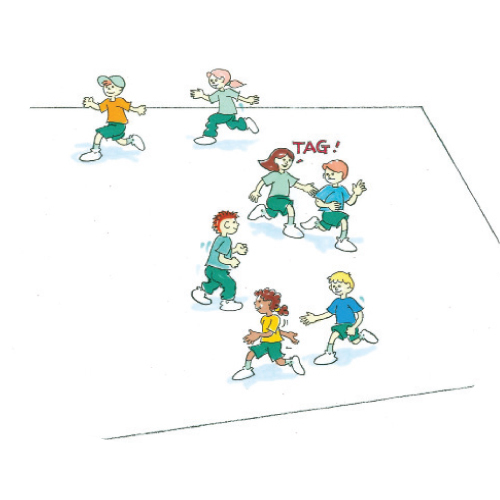 If tagged, players must move to the other team. What can you do to get to your feet quickly? What can you do to make this activity easier or harder?